“It’s a beautiful noise/And it’s a sound that I love/And it fits me as well/As a hand in a glove/Yes it does, yes it does,” Neil Diamond sings on the title song from his 1976 album. These are wise words from a well-known tunesmith–a prophecy that is fulfilled every time a songwriter puts pen to paper and crafts a song out of creative clay. Like a seed planted in the soil, a fully-realized idea spins into a form made from the coming together of a melody, words grown into lyrical lines, and choruses and bridges fashioned as strips of gold. Songwriters work in mysterious ways. How does the spark of an idea flower into a fully-formed entity? Where do ideas even come from? How does the magic work? It is all this side of mystical, the songwriting process; anyone who has knowledge of how it all comes together holds in his or her palm the secret of life, for art is the soul of life, and if you can sing along and you maybe know the words, you’re a rich person indeed. 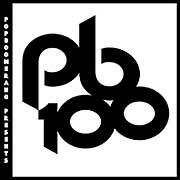 This year’s crop of melodic pop recordings clearly and distinctly demonstrates that the magic works when the right person is holding the pen and the ideas are finely honed because their creativity knows no bounds and because they know how a song works. They know this in their bones. And when their bones rattle after they’ve put their pens down and their song is ready to be heard, the magic is working like a charm. This summer’s crop of melodic pop recordings, of songs exuding considerable skill and charm, constitutes the best of the best in a year teeming with such accomplishment. 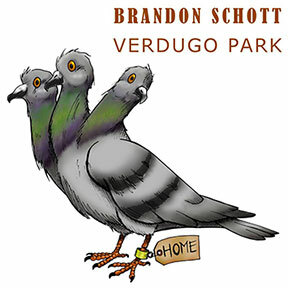 The latest records from Brandon Schott and Vanilla, and the debut record from supergroup Pop 4, share a facility for this kind of flash. These records are among the best of the year–towering achievements all. 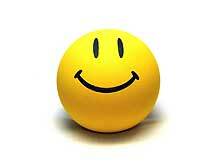 You can dance to them, if you like, negotiating the two-step or the moonwalk, if that’s what moves you. 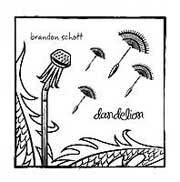 Brandon Schott’s masterful Crayons and Angels, the follow-up to 2011’s studio album 13 Satellites, and this past March’s intimate Dandelion (Live at the Treatment Room: January 10, 2008), is more than a flash of magic–it is by far Brandon’s best, most fully-realized record, a triumphant stroll through the creative pastures that subsist in the fields of the heart. 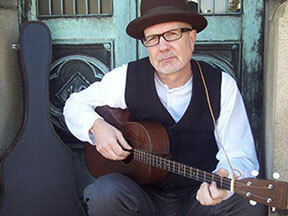 Working with a broad textural palette and with his eyes and ears wide open to varied influence, he creates a three-dimensional song cycle that dazzles. The stage is set by the gentle, windswept instrumental “Dandelion,” a quite peaceful mix of ambient sound, delicate instrumentation and a brief wash of glowing harmony. 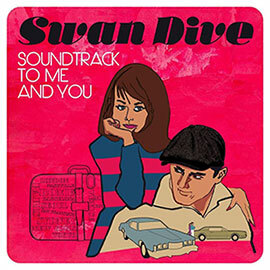 A calm trance of sorts, it allows all manner of song forms to follow, from the Nilsson-esque core of the entrancing “Verdugo Park,” which erupts at its midpoint with the spirit of a Van Dyke Parks-inspired burst of energy, to the upbeat, poppy “Seeing You in Stereo,” its flowing construction giving way to a lovely melody and a peppy Beach Boys-styled bridge with less than a minute left to go. Because influence plays a large part in these proceedings, it’s no surprise that “Wake Up, Mary,” a song that had its world premiere on Pure Pop Radio this past July 28th, is a bouncy, clap along number that could sit comfortably alongside Simon and Garfunkel’s “Cecilia.” Brandon’s song pits the yin against the yang, an honored pop music tradition: the song is about getting in the car and driving to greener pastures for a new start and growing the weary bones of a union that holds so much promise. Crayons and Angels plays as if it were conceived as a complete work that’s best experienced in one sitting, played straight through for maximum effect. Which is not to say that mixing up the song order won’t yield similar results. Either way, this is an album full of beautiful, inspired, even spiritual work. It is magical and it is one of this year’s best records. 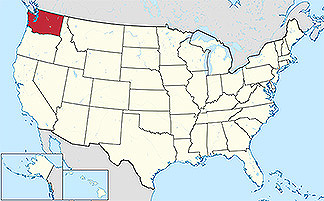 Out Washington State way, there is something most certainly percolating in the H2O. 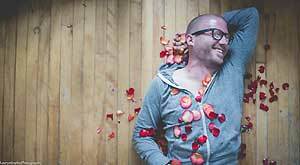 How else to explain the creative strokes being struck by Scott McPherson, one-fourth of this year’s pop supergroup Pop 4, and Jayson Jarmon, flavorful songwriter at the helm of the tasty group, Vanilla. 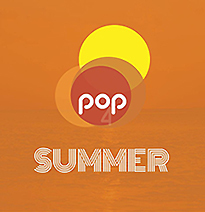 Pop 4’s debut album, Summer, proves that great talents, working together, create great art. It really should come as no surprise that talents of this caliber will ostensibly bring their A game to the recording table. In the case of Pop 4’s quartet of musical masters, that means melodies and harmonies and hooks exhibiting the highest of pedigrees. 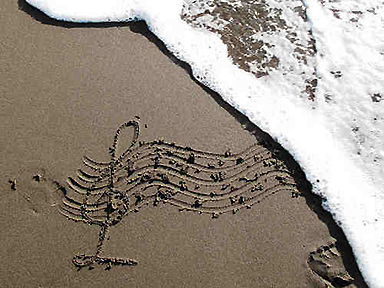 Every track is a delight; every single note is perfectly placed and sung. Perhaps the track that points most broadly to this group’s strengths is the gorgeous, mid-tempo ballad “Don’t Be Like That,” a luscious mid-tempo song painted with a harmony-soaked brush and the sweetest, most seductive melody this side of a bear bottle full of honey. You could also point to tracks like the melodic “Lover’s Limbo,” possibly the finest song that XTC’s Andy Partridge never wrote, as representative of Summer’s treasures. Or you could put forth the ultra-catchy “Einstein and Sunshine,” which will more than ably satisfy the desires of Jeff Lynne fans until the next ELO album comes out (dig the fluid string arrangement and, well, the rest of it). Gee whiz, this song will break your heart. The awfully pretty melody–the sweet–plays beneath the sour, but the point of the lyric, at least as far as I can fathom, is that the brokenhearted will live their lives in a kind of tilted Möbius strip unless they are able to find their way out of the morass. In fact, the final words sung here hint at that possibility: “This concludes our tour through that door/Is where you started.” Beautifully sung by Scott and punctuated by tight bass stabs played by Andrea, “Tour for the Brokenhearted” is this year’s most emotional ballad and a truly great creation. As are all of the songs on this hall-of-fame record, a breath of fresh air in the second half of 2015’s summer season. 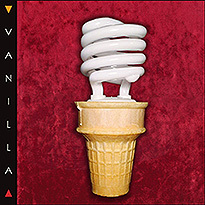 Vanilla’s second album, cleverly titled 2.0, comes nearly a full decade after the band’s first release. What exactly have Jayson Jarmon and company been doing since 2006? 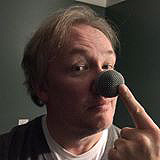 It doesn’t matter because, for 2.0, Jayson has sculpted 11 songs covering various subject matter, songs that are simply stuffed with imagination to spare. 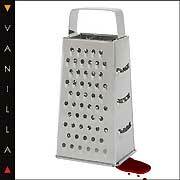 You’ll laugh, you’ll cry, and you won’t want the Vanilla experience to end. Where to start? Well, “Hold Me Like a Grudge” begins as a classically-styled, acoustic ballad and quickly morphs into a classic pop-rock number about a relationship gone horribly wrong. “The Angel of Swain’s Lane” is an old-fashioned folk song, beautifully arranged, about a lonely angel trying to break through to a lost soul. “The Angel of Swain’s Lane/Is crying out in vain/For someone departed/Forlorn, broken-hearted/A figure of pity and pain…/The Angel is crying again.” It’s a spectacular series of images, and a wonderful song. In other words, monkeys, who pretty much dominate the outlandish, hysterical happenings recounted in the off-the-charts, wild and wacky and totally hysterical “Monkeypox!” With tongue planted so firmly in cheek it would take a pair of cranes operated by Superman to pull it out, the song is the musical equivalent of the old joke about the guy who goes to the doctor and says “Doc, it hurts when I go like that,” and the doctor tells him not to go like that. “Monkeypox!” puts forth a be-careful-what-you-wish-for kind of scenario, where there’s always something worse behind the curtain, although that may be okay. “My baby wanted cancer/She smiled when she heard the Doctor’s answer/Monkeypox, she’s got Monkeypox…,” goes one verse. “My baby wanted SARS/Just like one of your Hollywood stars/Monkeypox, she’s got Monkeypox…,” goes another. “Monkeypox, she’s got monkeypox/And she feels…fine,” goes still another, which feeds into a familiar Beatles riff, and so it goes in the story of the dreaded Monkeypox. 2.0 closes out with a spirited cover of the Raspberries’ “Go All the Way” in which the electric guitars are ramped up just a bit, and a radio edit of “Hold Me Like a Grudge,” which makes the song safe for the kiddies who might be listening to Pure Pop Radio (argh, those dreaded curse words!). 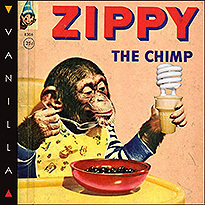 Jayson, along with multi-instrumentalist Sean Gaffney, drummer Dana Sims, and a host of guest vocalists and players, has turned in a spectacular show with this album, which gathers together tracks released in the neighborhood of once a month on Vanilla’s Bandcamp page. All gathered up in album form, 2.0 is a marvel, full of imagination and wit. Bravo. This has been a great year for melodic pop music so far, and with five months left to go before the ball drops on New Years Eve, it’s not unlikely that the riches will keep on coming. Which is good for you and me and you too. For now, though, Brandon Schott, Pop 4 and Vanilla are tops of the pops. All of the tracks from all three of their albums are now playing in rotation on Pure Pop Radio. All three albums come highly recommended. All three will put a big smile on your face. 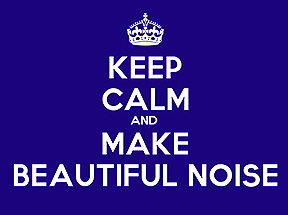 And all three make some beautiful noise. Pure Pop Radio’s Big Week of Summer Fun is here! We hope you’re having the swellest time imaginable at the beach, having a picnic with friends and family, and listening to all of the new music we’ve just added to our playlist. Summer means fun, and we’ve got lots of it now spinning in rotation on our air. How about we run down a list of some of the new songs and artists we’ve just added? We’ve got a baker’s dozen for you today, and more coming this Thursday. Sounds like a plan! 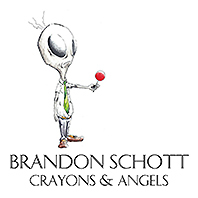 Brandon Schott | “Every Little Song (Featuring Kelly Jones)” The first focus track from Pure Pop Radio favorite Brandon Schott’s forthcoming, fifth album, Crayons and Angels, is a bittersweet rumination on the healing power of music that glows in the face of emotional darkness. Brandon’s pretty melody and sensitive vocal, made all the more magical by singer Kelly Jones’ lovely, atmospheric vocal harmonies and a short, beautifully-realized instrumental section struck with Brian Wilson finesse, take charge and deliver a truly affecting song that will haunt your heart. “There’s no escape from being pulled under her spell/And when my spirit’s dry, there’s water in the well/Reflecting light for all the darkness I have held,” Brandon sings of his faithful muse, always by his side in good times and bad and always his safety net. This is a truly special song from an album that will fill your soul with hope and strength. 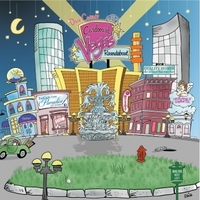 Releasing August 4, Crayons and Angels will prove to be one of this year’s best albums. We can’t wait to spin all of it for you. 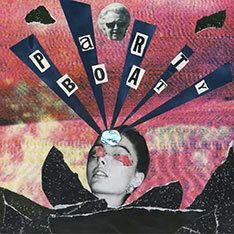 Pop 4 | “Don’t You Be Like That” Another album that will, we predict, land on more than a few of this year’s best-of lists, is Summer, the debut release from melodic pop supergroup Pop 4. Both supergroup and, well, super, Pop 4 brings together the considerable talents of Liar’s Club’s Scott McPherson; the great singer and songwriter Andrea Perry; the Corner Laughers’ not-so-secret weapon KC Bowman; and Vanilla’s Kirk Adams for a virtual master class in pure pop songwriting and performance. The mid-tempo ballad “Don’t You Be Like That,” presented as an exclusive to Pure Pop Radio listeners (it debuts at 8 pm ET tomorrow night, Tuesday, July 14–set your alarm clocks), is painted with a harmony-soaked brush. Featuring lead vocals from Andrea, Kirk and Scott, a middle-eight sent from nowhere less than heaven, and a subtle, George Harrison-esque electric guitar run, this is one of the catchiest songs we’ve heard in ages. Don’t miss Summer when it drops later this summer which, by the way, is now officially our favorite season of this year. Secret Friend | “Blue Sky” and “I Don’t Know You” Steven Fox, recording as Secret Friend along with such luminaries as Willie Wisely, Kelly Jones, and Linus of Hollywood, burst onto the worldwide pop stage with Time Machine, a set of straight-ahead melodic, hook-filled songs just after the calendar flipped on 2013. 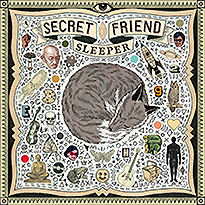 Secret Friend’s second album, Sleeper, which releases on August 14, is somewhat of a different beast, in that the soundscapes are a bit more expansive, electronic, and somewhat less compact, which is to say that the overall package may be somewhat different even as the songs remain as catchy and affecting as ever. 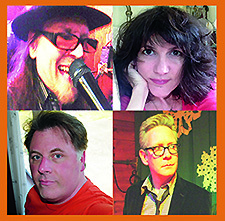 The original lineup is back and joined this time around by the Nines’ Steve Eggers and Kurt Baker producer, and pop artist extraordinaire, Wyatt Funderburk. The first two songs, released ahead of the album’s late-summer bow, are terrific, creative numbers fueled by top-flight imagination and skill: “Blue Sky” is a perfect summer song, sung with typical finesse by Jones alongside a bopping beat and atmospheric instrumental passages. “I Don’t Know You” finds Funderburk tenderly delivering another luscious melody atop a decidedly Jeff Lynne-styled base that fades out with an atmospheric instrumental passage. We were delighted with these songs; we were also delighted with the other eight numbers that comprise this album, a good and important step forward on Fox’s musical journey. 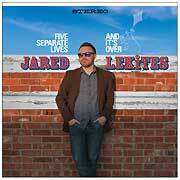 We love this album, another sure candidate for best-of the year honors. 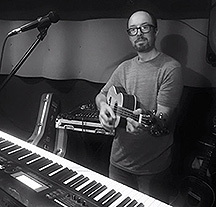 One Like Son | Classic Stephen Poff’s most varied set of songs yet grace this new release that brings the power and softer side of pop and roll for a terrific listening experience. The rocking opener, “As Seen on TV,” kicks the proceedings off with a crunchy guitar riff and powerful drumming. 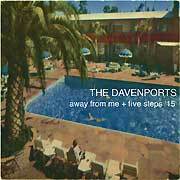 The slower, but no less rocking “Five Good Years,” is another keeper. 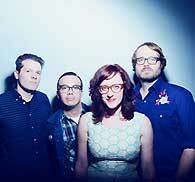 And our favorite track, “Summer Days,” is an acoustic toe-tapper with a marvelous melody and strong, sensitive vocals. We’re playing these songs in rotation, plus “Down to Hollywood,” “Holidays,” and “They Know I’m Right.” And that’s the situation with this album–it’s right as rain. 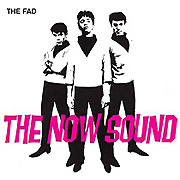 The Fad | The Now Sound Power pop smarts fueled this terrific Philadelphia band, influenced without question by the British Invasion, during the early-to-mid-1980s. 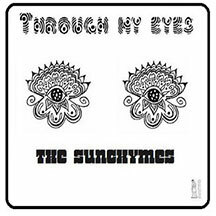 Despite their obvious chops and great, catchy songs, circumstance played with their fate (an ill-suited producer mucked with the tracks on their six-song, 12-inch EP). Kool Kat Musik has rescued that EP and added an additional six tracks, classics that will absolutely slay listeners upon first hearing. We’ve added a half-dozen numbers to our lineup, including “Where the Colors Are,” “Countdown,” “Genie,” “Broken Hearts,” “Fad Twist” (a blazing, Merseybeat instrumental that will transform your living room into a swinging dance floor), and “The Swing’s the Thing” (speaking of swing). A classic release from the archives that makes the grade and then some. 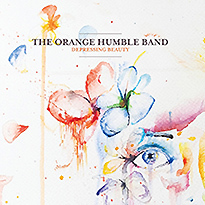 The Orange Humble Band | Depressing Beauty This third album from Daryl Mather’s sterling collective follows on from 2001’s Humblin’ (Across America) with a pair of Posies, Big Star’s drummer, and super producer Mitch Easter in tow, forming a powerful core of visionary musicians in the service of a grand musical calling. This sturdy, hour-long set mixes balladry and uptempo songs, some co-written with such all-star guests as Dwight Twilley and Posie Jon Auer, for a melodic and lyrically-strong experience that stands as a towering achievement. From the lively, horn infused pop-rocker “Get Straight Down” to the pretty testament to love’s power, “Sowannadoit,” and the gorgeous “Emma Amanda,” about love in the face of sadness, these 15 songs shine. We’ve added 11 numbers to our playlist: the aforementioned songs, plus “You Close Your Eyes,” “The Girl Without a Home,” “Ain’t Tougher than Me,” “Our Beautiful Selves,” “If That’s What You Want,” “Oughta Feel Ashamed, “Upon Cindy’s Will,” and “Something Goin’ On.” Extra points for putting together a great, visual package with stunning artwork and full credits. 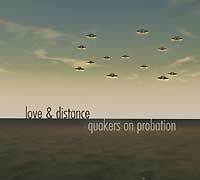 A great album. 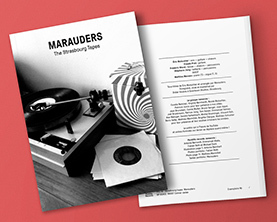 Marauders | The Strasbourg Tapes Hailing from Strasbourg, France, Marauders incorporate a romping mix of power pop and garage styles into their songs, propelled by a steady beat laced with great, harmony vocals. We’re playing three of the four songs on this smashing EP: “Different from the Crowd,” “Too Late to Delete,” and “Give It a Try.” Fans of early Who will love these spirited numbers. Count us among the band’s fans. 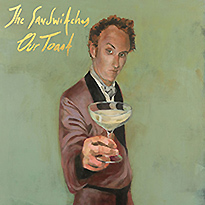 The Sandwitches | Our Toast This alluring San Francisco trio, new to Pure Pop Radio, is apparently splitting up; on the basis of this wonderful album, that’s sad news. Reminiscent of the Roches, the Sandwitches are a wonderful addition to our playlist; their lovely harmonies and songs are, well, quite lovely. We’re now playing, in rotation, the lively, whimsical “Sunny Side,” “Miggy,” and the country-garage mashup, “Wickerman Mambo.” These ladies sing like songbirds. 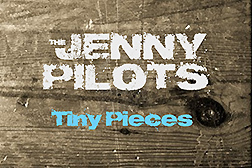 The Jenny Pilots | “I Wouldn’t Change a Thing” and “Tiny Pieces” Late of the New Jersey power poppers Soul Engines, Mark Nuzzi, Joe Furnari and Gino Scelza have been reborn as the Jenny Pilots. 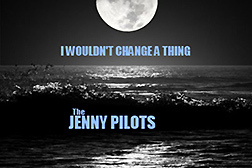 The band’s initial offering is a pair of terrific pop numbers–the uptempo, catchy charmer “I Wouldn’t Change a Thing,” and “Tiny Pieces,” an equally catchy uptempo song with a deep hook and great vocals. If this were American Bandstand, we’d give both songs a 10 (because you can dance to and sing along with them, of course). Great stuff. 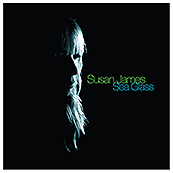 Susan James | Sea Glass For her sixth album, Los Angeles’ Susan James worked with the High Llamas’ Sean O’Hagan, who contributed string and instrument arrangements, to realize the inner beauty of her wonderful new melodic pop songs. James’ lovely, smooth-as-silk vocals, coupled with creative instrumentation, draw listeners in for a most rewarding musical experience. We’re playing, in rotation, five songs: “Poseidon’s Daughter,” “Awful Lot,” the pure poppy “Hey Julianne,” “Truth or Consequence,” and the sizzling and soothing “Tell Me Cosmo.” New to Pure Pop Radio, we have a feeling Susan James is here to stay. 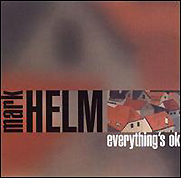 Mark Helm | Everything’s OK It’s been around 14 years since we were first exposed to the wonderful music of Mark Helm. 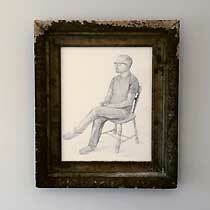 Now, his album, previously released on the Not Lame label, resurfaces as a digital release with six bonus tracks. For whatever reason, Mark has been absent from Pure Pop Radio’s playlist until this very moment. 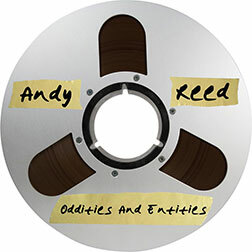 We’ve just added seven songs: original album tracks “Galaxy of Cars,” “Haircut,” “Lemons Limes and Flying Saucers,” “Aeroplanes and Radiosignals,” and “Sweet Dreams Baby,” and two of the six bonus tracks: “Shopping List,” and a cover of the Beach Boys’ “God Only Knows.” Here’s hoping for a new album. Mark? 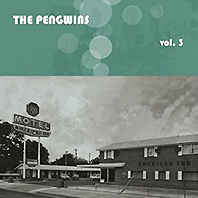 The Pengwins | Vol. 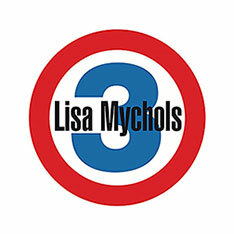 3 This is the third in a series of box sets coupling a new track with older selections from this seminal power pop band that dates back to 1972 (they reformed in 2005). The current band tackles the Flamin’ Groovies’ still-awesome “Shake Some Action” with sweetened power pop aplomb (and a hint of Badfinger); “Suicide,” and Lannie Flowers’ “What You Gonna Do?”, are power popping archive selections. Like its two predecessors, Vol. 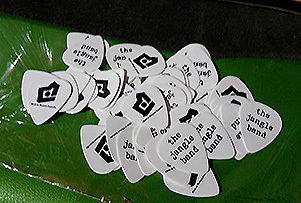 3 comes in a box with both a 45 vinyl single and CD counterpart (“Suicide” appears only on the CD), and a range of collectible goodies including an orange Pengwins 45 adapter, a nifty bottle opener in the shape of a guitar, and a baseball card highlighting Alan Petsche’s history with the band. This creatively-realized box set is an absolutely essential element of any self-respecting power pop collection. 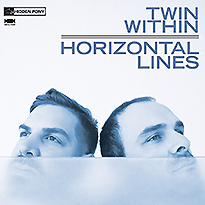 Twin Within | Horizontal Lines Part of the fun of curating Pure Pop Radio’s playlist is being contacted by musical entities as good as the duo of Steve McKay and Alex Samaras. Sprinkled with the DNA of soft-pop kings like the Free Design and Simon and Garfunkel, Twin Within’s music grabs hold of your imagination as the duo delivers their melodic gems, sung with voices bathed in gold. “Bernie” is a perfect example of this duo’s attention to exquisite detail; “Night Danger” hits with a softly aggressive instrumental track that is tempered by a brief, vocal harmony stretch that is quite powerful. “We Talk” is a song that wouldn’t have been out of place on the Association’s first album, combining beat with a beautiful, lively melody. And “Veryard ’78” pops along softly with an enticing melody. We’re playing the entire album: the previously mentioned songs, and “Tunnel to the Reservation,” “Faraway Car Ride,” “Night Danger,” “Two Within,” and “As Always.” We couldn’t be happier to be spinning the music of great artists such as Twin Within. That’s it for today. Enjoy these new songs and artists that we’ve added to the Pure Pop Radio playlist, and come back this Thursday for more. It’s our Big Week of Summer Fun, and we’re having a ball! 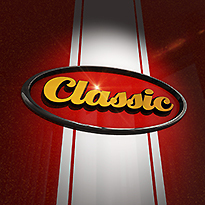 Click on one of the listen links below to hear more than 7,000 songs playing in rotation on your original, 24-hour-a-day home for the greatest pop in the universe!